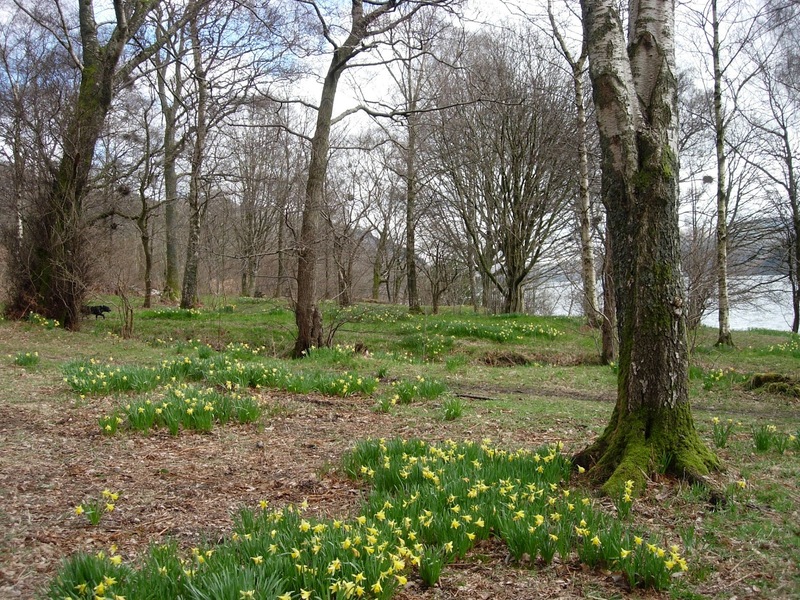 We are getting ready for a new partnership where Dora's Field in Rydal will be opened as part of the National Garden Scheme "Wordsworth Daffodil Legacy trail". Saturday 1st of April will be the day where people can follow the trail from Cartmel to Carlisle with two National Trust gardens playing there part to the wonderful trail. 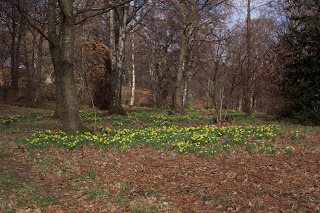 To celebrate all things Daffodil and Wordsworth’s Lake District legacy seven locations throughout Cumbria are taking part in the National Gardens Scheme’s Daffodil Day – 01 April 2012.The properties involved are Holker Hall (Cark-in-Cartmel), Summerdale House (Nook), Dora’s Field (Rydal), Rydal Hall (Rydal), Acorn Bank (Temple Sowerby), High Moss (Portinscale) and Carlisle Cemetery (Richardson St, Carlisle). 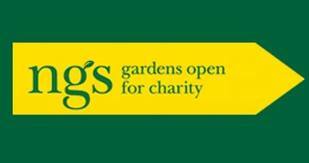 From 11am until 4pm they are all throwing open their gates and holding a Wordsworth Daffodil Day to allow the public to see a crowd, a host, of golden daffodils. Originally called the Rashfield derived from rush field as the damp nature of the ground would have originally supported mainly rushes. Purchased from the Backhouse family by W Wordsworth in 1826 as a defence strategy. The Wordsworth's were tenants of Lady Anne le Flemming at Rydal Mount behind Doras Field from May 1813, in 1825 Lady Anne announced her intention of giving the tenancy of Rydal Mount to a relative. Under threat of eviction, and desperate not to be forced away from the idyllic Rydal, William purchased the field and made it clear to Lady le Fleming his intention of building on the field in what ever way he wished (this would have been right in the view from Rydal Mount). Indeed pay a famous Kendal architect George Webster to draw up a design. In the event this contingency plan was not needed as the threat was withdrawn. The family retained the field and it was given to Dora, Williams daughter.When Dora tragically died William, his wife and Gardener went and planted hundreds of Daffodil bulbs in her memory. The field (0.6ha)was gifted to the National Trust by the Gordon Wordsworth in 1935 for the benefit of the public. The National Trust maintains the paths and prevents the open areas from returning to woodland and losing the open views. The are also benches to allow visitors to pause for a moment amid the hectic rush of life. The Chapel of St Mary at Rydal was funded by Lady Le Fleming of Rydal Hall. Started in 1823, it was completed the following year. A tower, nave, and chancel make up the church, which has seen repairs and renovations during the 20th century. The ‘chapel’ has been dropped from its name. Located just down the hill from Wordsworth's home, Rydal Mount, he helped choose the church site, originally the Le Fleming orchard. So if your in the Rydal area on the 1st April, then please call in to Dora's field and say hello, we will have volunteers and National Trust Rangers on site to answer any questions and talk about the history and management of this wonderful location. 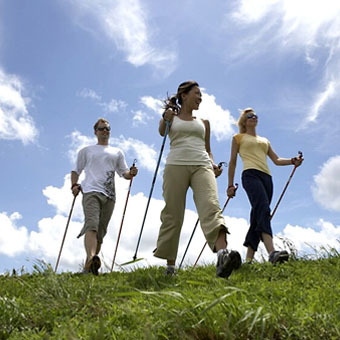 Nordic Walking..........ever wanted to give it a go? Well here is your chance. The National Trust Grasmere Ranger Team, with the help of Debbie Jackman, nordic walking instructor, and Nordic Walking UK, are giving you the chance to try this rapidly growing sport, as part of our Grasmere Gallop 2012. Go to www.grasmeregallop.co.uk for full details, including your chance to try a `taster session` absolutely free. 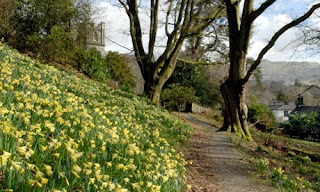 On the 15th of April 1802 William and Dorothy Wordsworth were travelling back to Grasmere after staying the night at Eusmere in Pooley Bridge and in doing so came across the daffodils that inspired William to write the poem "I wondered lonely as a cloud". It was Dorothy that wrote in the Grasmere Journal how they had seen the daffodils under the boughs of trees and among the rocks on the lakeshore and William then wrote the poem in 1804. 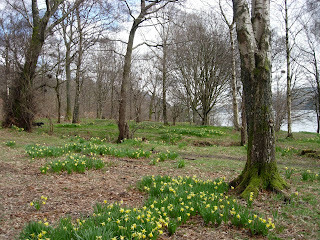 The daffodils can still be seen today in the same place near to Glencoyne car park on the shores of Ullswater, they are early this year and are just about out so if you want to see them you had better come in the next couple of weeks or so. Every January before the daffodils start to come through, we clear the brambles and dead bracken so the daffs can be seen in thier glory. I wandered lonely as a cloud that floats on high o'er vales and hills when all at once I saw a crowd, a host of golden daffodils. ﻿William Wordsworth was a frequent visitor to the Ullwater area and wrote three poems about Aira Force the most well known being the "The Somnambulist" an ancient tale of Knightly love and death. Langdale to London....and back again. Now, I`m prepared to bet good money that you were not expecting to read an article about a National Trust property in London on this blog. Let me explain. The Blewcoat School, located in the heart of London, moments from St. James` Park and Westminster, is a coffee shop with a difference. 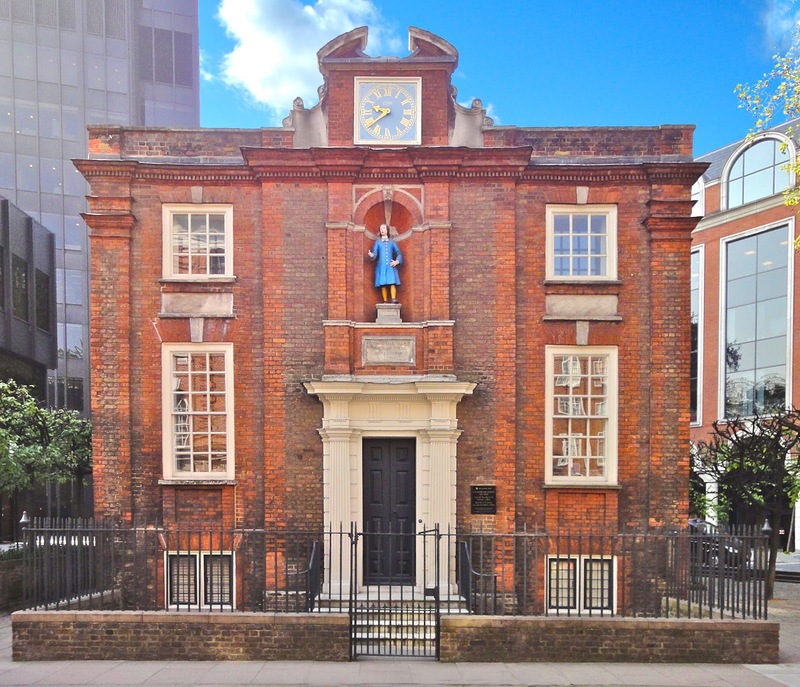 Managed by Janet, this beautiful Georgian building has an amazing history. That it survived the war and pressures of development, right in the centre of Westminster, is a story in itself. Janet and her brilliant team (including Rosanne, NT Council and Volunteer) have the ambition to produce the best sandwich in London. By my reckoning, something that they have already achieved! With free Wi Fi for all customers, this really is a little of oasis of calm in the centre of the city. We are building links between our two properties, sharing information and promoting events for each other. Judging by the number of `hits` on the Grasmere Gallop web site, from the London area, then this is already proving to be really successful. The Blewcoats School, Westminster. The best coffee shop in London! So, if you find yourself in London this year, perhaps for the Jubilee celebrations, the Olympic Games or just sightseeing, please call in and say hello to Janet and her team. Say that the Grasmere & Langdale Rangers sent you.